former dodger catcher jim campanis was kind enough to sign and return my 1968 topps card in just under 2 weeks a few months ago. he actually signed two of them, and i included one in the trade i made for the 1978 topps rick monday card for my modest 1978 topps dodgers autograph project. anyway, jim is the son of former dodger gm al campanis. in fact, the father traded the son to the kansas city royals after the 1968 season. another cool jim campanis factoid is that all 4 of his big league home runs were solo shots. i remember jim as the player who was really trying in the only old-timers game i ever attended, circa 1979 or so. i was never a fan of the team usa subsets - either in 1985 topps or in the topps traded sets of 1988 or 1991 or 1992 and beyond - even though there were some good players included such as mark mcgwire, jason giambi and nomar! to make matters worse, jim poole was included in the 1988 topps traded set. he is a dodger farmhand. actually, the dodgers drafted him in 1987, too, but he didn't sign. jim would debut for the dodgers in 1990 before heading to the american league where he found some success with the mid 90's powerhouse indians team. but, he was a dodger first. so, does the 1988 topps traded jim poole card make the dodger binder? what's a team collector to do? 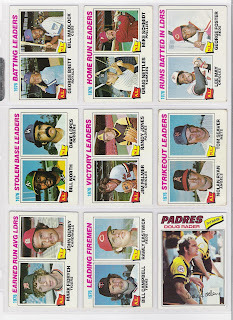 just in case anyone has any doubles laying around, i figured i would hype my 1977 topps want list. help a blogger out, won't you? mark cresse signed and returned these 1978 topps cards to me in about two months! if you recall, that's cresse in the top row, far right. sadly, he did not answer my question regarding the identity of the two men in streetclothes standing in front of him. oh well, at least i have another card to add to my modest 1978 topps dodger autograph project, even though i don't count it in the percent complete. cresse was the dodgers' bullpen coach from 1974 to 1998. he currently runs the 'mark cresse school of baseball' in southern california which is where i sent the cards. 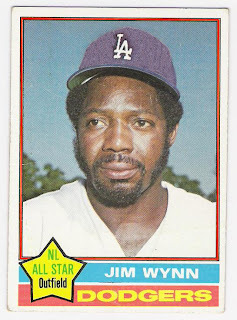 maybe topps felt badly for jim wynn. he was featured in the 1974 traded set, so maybe they didn't want him to have to go through that again in 1976. what am i talking about? i am referring to the fact that the toy cannon was featured as a brave on his 1976 topps card. this is despite the fact that he earned that all star star as a member of the dodgers. also, dusty baker was left as a brave and given a traded card even though he was the main player the dodgers got in return for wynn. 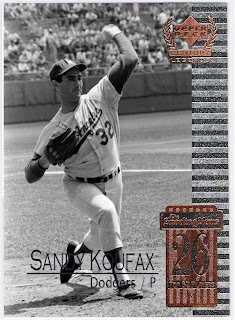 let's get something straight topps (and upper deck and panini and anyone else who is planning to manufacture baseball cards): steve garvey is first and foremost a dodger. enough with the padres cards. i doubt that the set includes harmon killebrew as a royal. 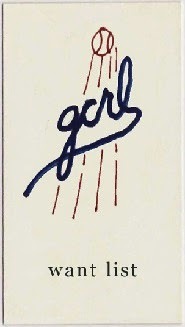 or ron santo as a white sock. just put garvey in his dodger whites with the bright red number on the front and call it a day. 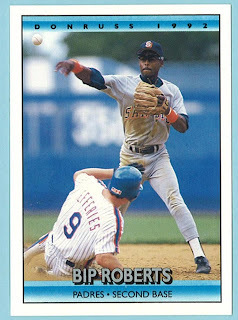 i am going to accuse upper deck of using an old photo of bip on this card because i believe he gave up number 10/couldn't get it back after rejoining the club in 1994 to/from gary sheffield. that's bip sliding in with his number 3 jersey. i will point out that rod included a few other cards that i collect (plays at the plate) as well as a steve garvey card - as a dodger, no less! whereas my last encounter with a topps redemption was great (think the johnny cash/joe strummer version), upper deck has come through like bob marley. only 9 days after i entered my redemption code online, this showed up in my mailbox. sometimes i wonder what went on in the topps factory or cantina or wherever sy and his guys decided on what cards to print. i say this because i don't understand photo variations. 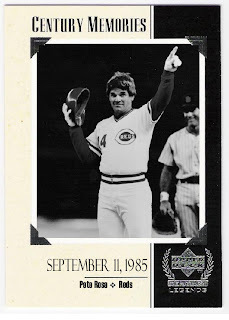 in 1991, there were several 'error' cards featuring the wrong player photo (jose gonzalez/billy bean for example) that were corrected in later print runs. i guess i always figured that they print the cards, pack 'em up, ship 'em out and that's it. no more printing (unless you're upper deck, right?). sure, you can print another series, as topps did early on and as they do now, and i know sometimes base cards of players are included in more than one series (eg 2009 stephen drew), but why would you print new versions of cards from the earlier series? pretty exciting stuff. hatless, but at least he's in a dodgers uniform. we can't say the same for ol' lee walls on his card. i think we've decided that's a cubs jersey, for whom walls last played for in 1959.
same number on the back, but a different photo (obviously). i like it though, since it features more of the uniform. maybe topps would update lee walls' uniform, too, right? please? well, yes and no. again, it's the same number on the checklist, and he's still hatless, but now he's in what i believe to be a phillies jersey (his 1961 team). baby steps. this card also shows off the fantastic green tint that some of the cards in the second series were printed with. now don't get me wrong - i love variations. i just wonder, why these cards in this set? to me in just under three months this past summer. 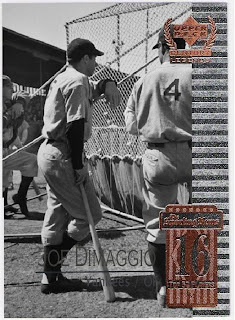 torborg played 7 years for the dodgers as a backup catcher, first to john roseboro, and later to tom haller. 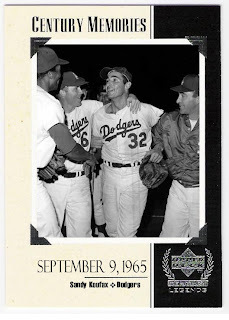 while with the dodgers, he caught sandy koufax's perfect game as well as bill singer's 1970 no-hitter. he finished his career with a three year stint across town with the angels, where he was lucky enough to catch another no-hitter - this one by nolan ryan. i knew of torborg best as a manager, though. after his playing days were done, torborg managed the indians (1977-1979), the white sox (1989-1991), the mets (1992-1993), the expos (2001) and the marlins (2002-2003). his 1978 topps card always intrigued me because, while clearly an indians card (no team collector dilemma here) it also featured a picture of him in his dodger uniform. torborg's best season was with the white sox in 1990 when he guided them to a 94 win campaign, and was rewarded with the al manager of the year award. in 2003, he was replaced as the marlins manager after 38 games by jack mckeon who would lead the fish to their second world championship. do you think torborg got a playoff share? i'm not sure if torborg is still broadcasting these days or not, but if joe and chip can keep a gig, torborg should have no problem. one of my favorite sets of all time is the 1999 upper deck century legends set. tied to the sporting news' list of the top players of all time, this set has it all - hall of famers, (then) active greats, (then) top prospects, inserts highlighting famous moments and milestones, etc. the only thing it didn't have were cards for the number 11, 25 and 26 players of all time. 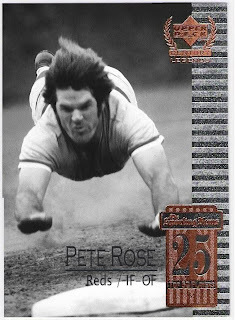 pete rose's ineligibility, along with licensing issues surrounding joe dimaggio and sandy koufax, meant that upper deck couldn't produce cards for these players. i have had empty pockets in my set binder for 10 years - placeholders for these cards that i knew i would eventually get around to creating. the end of the streak. i love this photo. 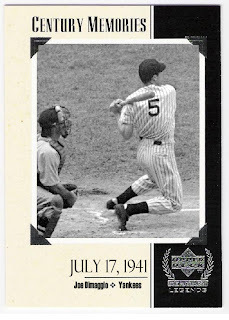 it is, of course, taken after rose singled for career hit number 4192, breaking ty cobb's record. 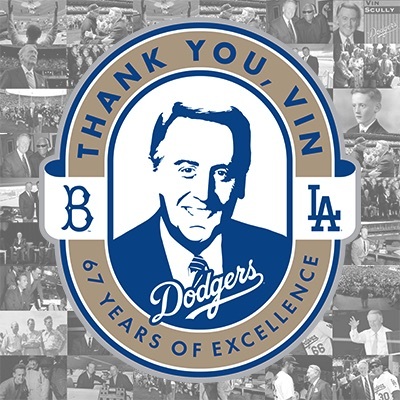 with steve garvey lurking no less! any one of those 3 would have been a great addition to the set, and until upper deck produces all 4 missing cards, i will fill the empty spots with these cards that should have been! beardy hosted, i submitted, you voted, he decided, i chose, he sent, i received, i posted. 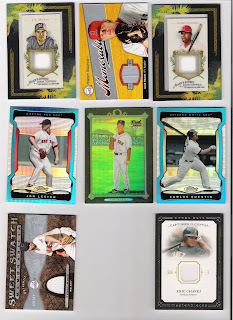 for the record, the cards are: 2008 topps a&g jj hardy jersey, 2007 ud sweet spot jered weaver jersey, 2008 topps a&g garret anderson jersey, 2009 topps finest jon lester blue refractor, 2007 topps turkey red hideki okajima refractor, 2009 topps finest carlos quentin blue refractor, 2009 ud sweet spot kerry wood jersey, and 2008 ud masterpieces eric chavez jersey. i've been on an o-pee-chee kick lately, with the kicking off of my side project 'oh my o-pee-chee (oh mon o-pee-chee)'. check it out, won't you? the intent there is to document each and every variation issued by the canadian card maker between 1971 and 1987, with a few stops in other years as well. anyway, there have been some variations that were never made that i have taken the liberty of creating myself. the first was the 1978 willie crawford card, and i suppose my 1983 manny mota card would qualify as a checklist variation had it been made (hey - he was an origianl expo, so it could have happened!). the next in this short line of history rewritten is the 1986 cesar cedeno card. 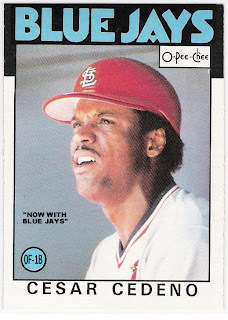 here is his official o-pee-chee card, showing him as a member of the cardinals cedeno had finished the 1985 season in saint louis after being traded from the reds in august. the cardinals released him after the season, and he signed with toronto in march of 1986, so, here's the 1986 o-pee-chee card that should have been: right? well, cedeno never played for the blue jays. they released him right before the season started. luckily for cedeno, the dodgers picked him up a week later and actually added him to the roster. this, then, is the o-pee-chee card that should have been: it turns out that o-pee-chee had it right all along, because, after 37 games with the dodgers, cedeno was released and then signed as a free agent by, you guessed it, the cardinals. voici à vous, 1986 cesar cedeno, whichever one should have been! i sent a 1978 topps card to johnnie b. baker back in june - c/o the cincinnati reds. after four months of waiting, i sent a similar request to his home address. since then, i have noticed that the successes that were recorded on a couple of ttm forums were usually received in january, so i have been hopeful over the last couple of weeks. then, i saw a posting on one of the forums that they had received their cards. the next day, i had two envelopes postmarked from sacramento in my mail box. awesome. but he also signed his 1976 card as well. i was a big dusty baker fan back in the day. he was probably 3rd or 4th on my list of favorite dodgers in 1977, mainly because he was part of the 30 home run club that year. i remember going to a game at dodger stadium where dusty came up in the bottom of the 9th with two outs and a chance to tie or win the game. we were all standing and chanting 'dus-ty, dus-ty'. it was awesome. sadly, he made an out and the game was over. i also recall discovering (and being impressed) that he had been a teammate of hank aaron's and, when i learned about jackie robinson and the integration of the major leagues, it was dusty that i thought of as far as how there was a time when he would not have been allowed to be a dodger. it was hard for me to comprehend, and still is as a matter of fact. i talked to dusty briefly at a spring training game a couple of years ago, and he seemed like a decent guy. he promised to sign my card when he got back to the dugout, but by then i was up in my seat. i didn't think it would take two years to finally get it done. this is the 21st piece of my modest 1978 topps dodgers autograph project. the 1970 topps jim bunning card that should have been! yes, it's one of the cards from my set that could use some upgrading. anyway, there's nothing unusual, right? bunning as a phillie. that's what he was. yes, but not in 1969. after starting his career with detroit, and having some pretty good seasons for the tigers, bunning was dealt to the phillies. he pitched for philadelphia from 1964 through 1967, leading the league in strikeouts and finishing second in the cy young voting in his last year there. after the 1967 season, the phils traded bunning to the pirates (right on time it turned out) as the future senator had a horrible 1968 season with his era and whip skyrocketing. 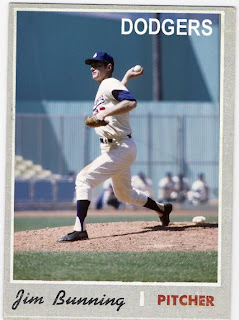 he pitched about the same for the pirates in 1969, but the dodgers acquired bunning anyway, since they needed pitching (don drysdale retired 10 days before bunning was obtained). the dodgers released him after the 1969 season, and the phillies signed him right away. featuring the people behind the bullpen fence. i know, 1970 topps didn't have any real game photos, but scourers of the internet can't be choosers. so, there you have it. the jim bunning card that should have been. almost 40 years in the making. from the prime cuts break, i got a duke snider card. it's numbered to 249, i think, if that sort of thing matters to you. i did better with the sweet spot break. i'm not sure if i have all of the base dodgers now, but it's got to be close. he's not pleased with the way i scanned his card. too far to the right. sorry manny. i hope topps goes back to calling him russell. russ doesn't seem to work as well. 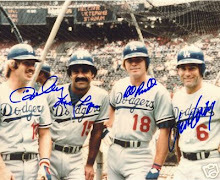 the only one of these guys in the home whites, although i am guessing it's a spring training shot and not a dodger stadium one. sometimes i wish the dodgers had a facial hair rule like some other teams. monty burns would never stand for this sort of thing. the bison doesn't need to look the ball into his glove. no sir. a year ago, i was wondering whether the broken leg he suffered at the beginning of the postseason would prevent him from starting the season on time. now i wonder if it wouldn't have been better if he missed some time up front so that he could, in theory, finish strong. hey - it's billingsley again! with a silver auto on a black ball. one of charlie finley's failed experiments. with an auto on a piece of wood. now, don't get me wrong - loretta had a big hit for the dodgers in the nlds - but he should not have a hit in this product. he doesn't even have a base card as far as i can tell. this is just wrong. but i'm a dodger fan so i'll be ok. looking forward to the jamey carroll relics in 2010! a redemption thingy good for a matt kemp 'skin-red stitch black ink'. that sounds like a tattoo. hm. anyway, i redeemed it yesterday and it says it's in stock so you know what that means...yes, the official redemption watch is on! check it on the right. thanks jeff. can't wait to see what january brings! i know yesterday was a binary day, too, but - don sutton! what is he doing here? well, technically, it's '01/11/2010' not just '01/11/10', so i guess he figured he would show up and do his part, even at the expense of the bit. and don't forget to check out my side project - oh my o-pee-chee! - which officially gets started today!